In this tutorial, I am going to show how to use spinner in android application to select an item from a drop down list. You can add drop down items either from java code or xml. 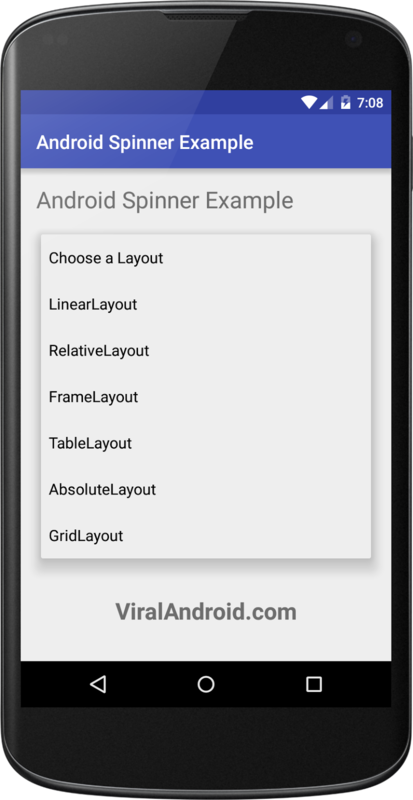 Let’s create a new android project and try the following spinner example.